I’d be honest. I do keep a list, more of a mental note that has gone long it became a list. One of them is to bring my family members abroad just like those that I look at to, as rich and well off do. I keep it in my head thinking that I will fulfill them one day. I didn’t thought that I would tick off an item on the list after leaving a good paying job. But I did. The target Hong Kong. I’ve always planned on surprising my dad with a trip, being with the first one failed. I went back to the drawing board and after a year there came another chance. 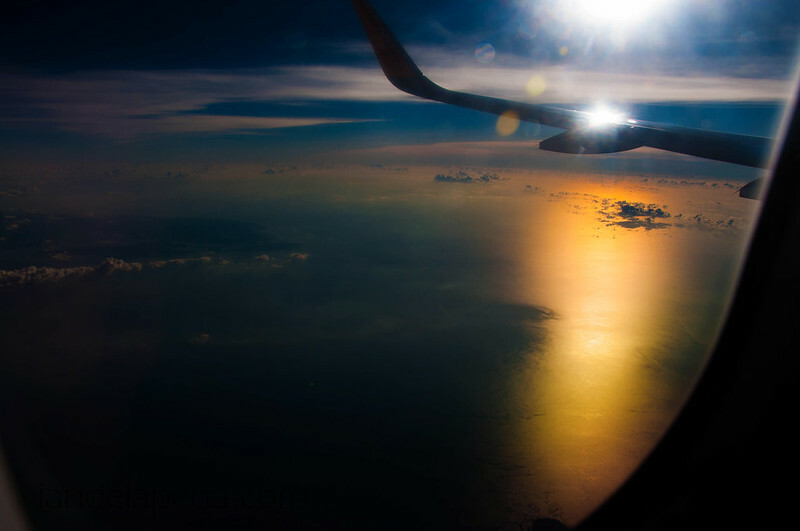 A good seat sale is always a key for my trips, I book then I plan my work around it. I had to keep my mouth shut and keep it to my self if I can, I don’t want to mess it up anymore. Our trip is almost there my travel fund is two thirds of what it should be. I needed help. I told my sister about my plan, it’s less than three months before we leave. I asked my sister to give my dad some pocket money so that he could enjoy some shopping in Hong Kong. She obliged. But an unforeseen event happened I had to pay for something, so the shopping got scratched off the plans and the money went for the basic things we need. One night I asked my dad “Gusto mo sumama sa Cebu?” (Do you want to join me in cebu?) He was like it’s up to you. So I took it as yes, of course he’d like to join me going there he enjoyed it the last time. I asked him this so that he could have an idea that we are going on a trip. 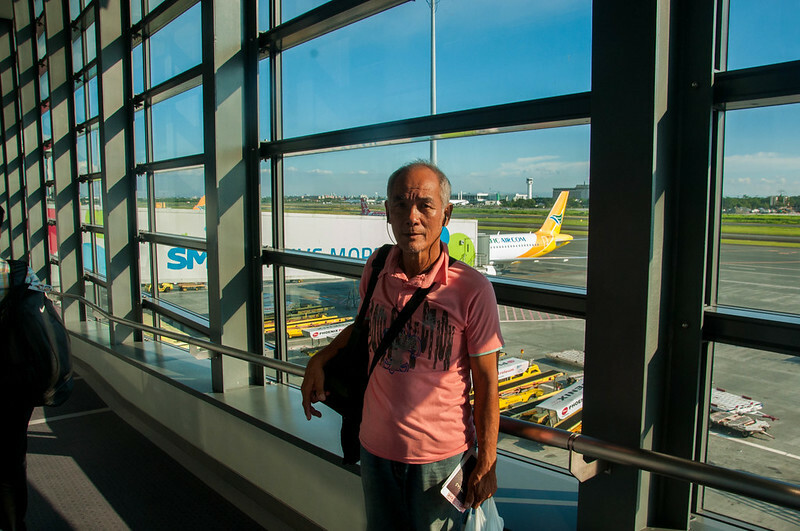 Then the day we have been waiting for today we are flying to Cebu, at least that is what my dad was thinking. 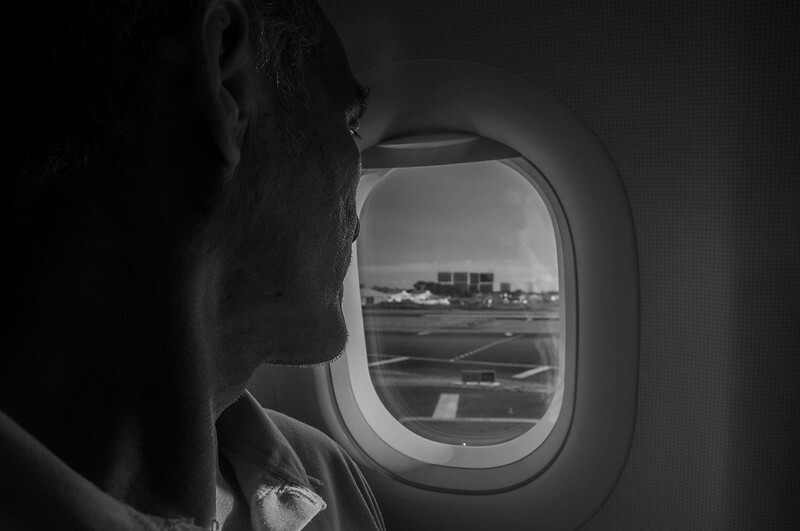 We came into the airport, instinctively I immediately went looking for the travel tax counter as it was moved to a different part of the airport which was really inconvenient and irritating – looking for their booth and paying the government because you want to see other places. I realized that my dad doesn’t know my plans yet, I had to break the news to him already. I gave me the itinerary and told him that I’ll just be video taping that moment for my blog. I asked him to read the itinerary and asked him “Saan ka pupnta ngayon?” (where are you going today?) With his blurry vision he tried to read what was written, then his face lit up and uttered “Hong Kong!”. He had been talking about it for about a week long as one of his friends went there for vacation too so I understand how excited he felt that time, not because he was going out of the country the first time but he is about to experience the same of the stories he just used to hear. After checking in we lined up for the immigration officer. She’s cute. hehehe… I remember her name and I found her in facebook =) <3. I lead the way with both of our passports with me so the officer can process us both the same time. Dad kept wondering off from the booth with his ear phone on, I poked him and told him to stay still as the officer was trying to check if the photo on the passport matches. The immigration saw me and with a cute smile told me that it was okay and asked if it was my dad’s first time. Oh… all Immigration officers should be as cute as you … hahaha what the heck am I saying here? hahahaha! Hong Kong is a couple of hours away from Manila of course as usual we asked for a window seat. I gave him the seat. I’ve been out of the country for a few times already and this is his first so I obliged to give him my precious window seat. I could still see the view from where I was anyway so no biggie. 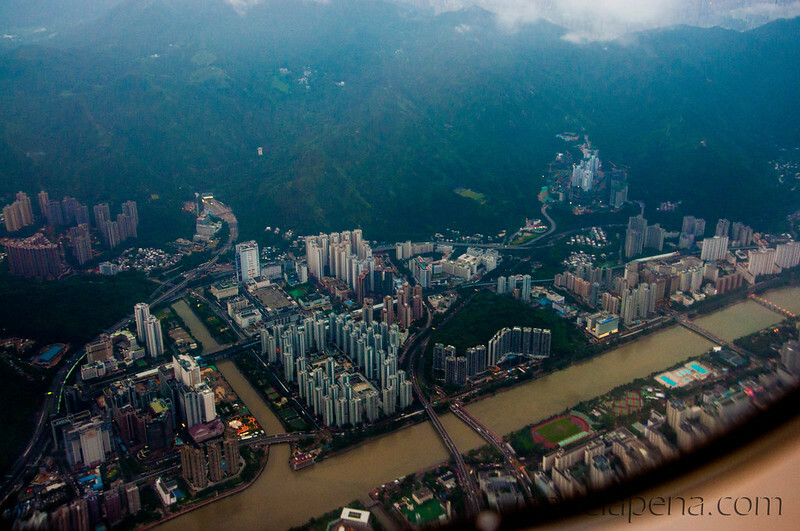 The first sight of Hong Kong was several islands with tall buildings, I don’t know which part of Hong Kong it was but I know that we were on our final descent. Same drill with the Hong Kong immigration, I went forward with him and our passports presented the same time. I briefed him to stay still and don’t use his phone. 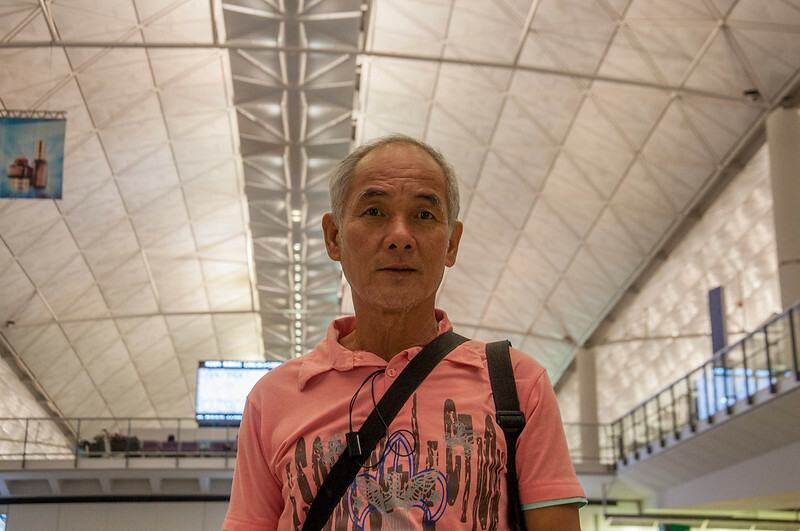 We went through without a hitch and as soon as we passed immigration I told him ” You are now officially in Hong Kong”, I explained that unless we get through immigration we were just at the gates somewhere in between our country and another. We picked up my tripod, the only thing that I checked in and then went straight at the arrival area for the train. I got kinda confused with the airport because I oriented my self with Hong Kong International Airport’s (HKIA) terminal 1 as it was the terminal indicated on our itinerary. Then I realized that the bus that shuttled us from the concourse took us to terminal 2 that was why instead of the long walk that I was expecting it only took a short one going to the Airport Express train not to mention that the ceiling of the terminal was kinda low compared to the main terminal. The arrival area is conveniently linked to the Airport Express. There were no turnstiles or barriers so you just get on the train. 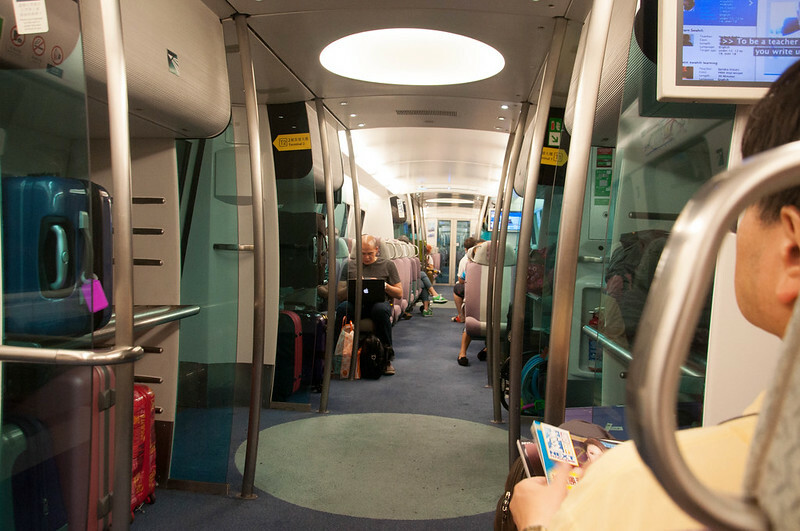 A one way train ride from the airport if you take the Airport Express straight to Kowloon or Hong Kong station costing you $100 HKD. We chosed to cut our trip short on the Airport Express, we hopped off at Tsing Yi Station and took the commuter line onwards, the fare? $60 HKD! Our hostel was in Mong kok probably the busiest part of the city. 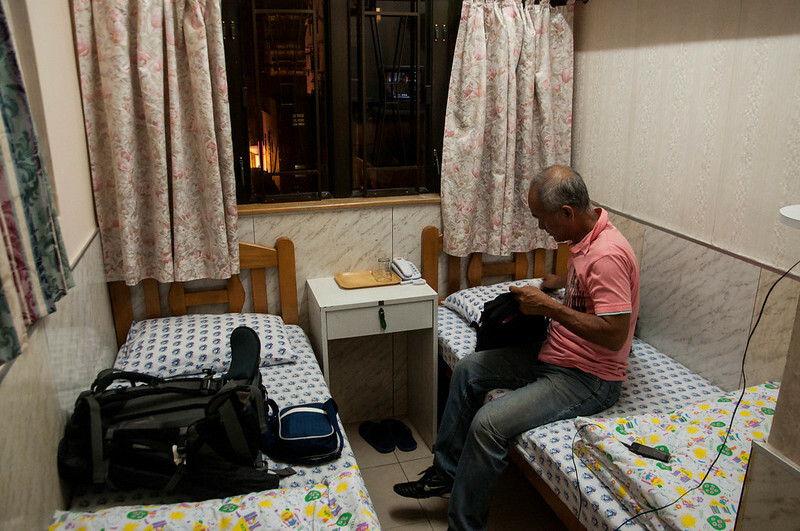 There were better prices at the Chung King mansions that backpackers would really go for, but this is my dad’s first time abroad I wanted it to be as comfortable as I could afford. The room was just about 9 sqm, just enough for two double beds and a small table amazingly they were able to manage a tiny toilet and shower combo in that small space. I am not complaining at all, it was just enough for what we need. Oh the best part is that we got a room with windows. We were starving already as it was past 9 pm already and we’ve only eaten lunch. We told the hostel owner, Stanley, that we’d just drop by his office later that night and get the WiFI password after eating. The elevator was quite small and you can only use one of the two on each lobby. One elevator was assigned for floors with even numbers and the other for odd numbers. We walked for a bit around the block but we were so hungry we ate at the first restaurant that we saw. I read on a lot of blogs that it wont really help you even if you know how to speak Mandarin because people in Hong Kong speak Cantonese. But I think otherwise, I don’t really speak Mandarin fluently but I was able to ask the lady if they have rice aside from the noodles pictured on their menus in Mandarin and they understood. Actually all of the stores that I spoke with in Mandarin understood me. Dad had beef noodles and I ate rice topped with braised beef with some steamed vegetables. The food was okay, nothing special. We spent $103 HKD for our meals it was kinda expensive but I prepared at least $100 HKD for our meals, so that was expected. After eating we went back to our hotel, dad went ahead and slept and I planned for our next day. It’s been a good day for us and I hoped that it’s gonna be great the next day too.